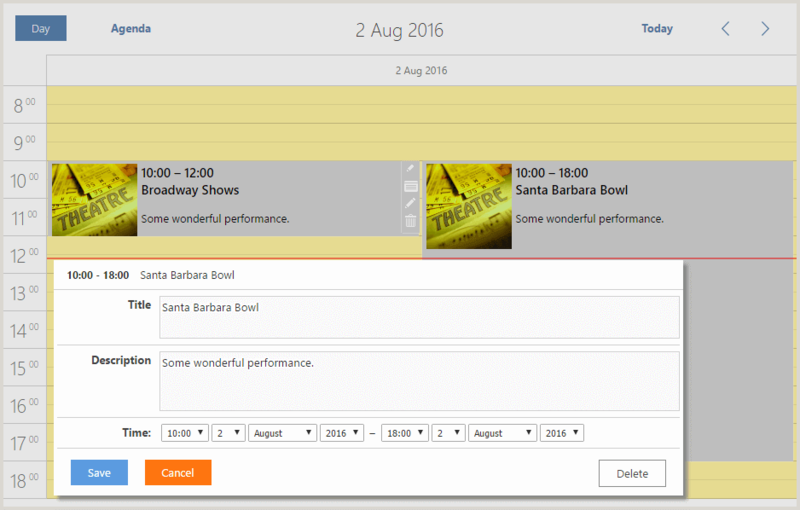 To make your calendar events more informative and visually attractive, you can insert pictures or images directly into the event boxes. 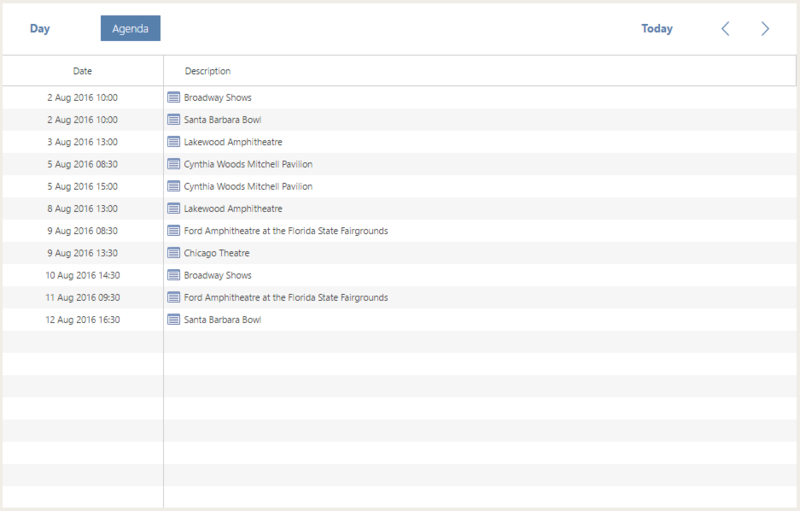 It's especially helpful, if you create an events calendar for theater performances, exhibitions announcements or similar events. You can also use this template to cover your office needs by adding employees' photos to scheduled appointments. To explain how this demo was created, we have created a guide that explains the implementation of the above-mentioned functionality step-by-step. So, let's start from the very beginning. Install DHTMLX Scheduler .NET, if you still haven't. 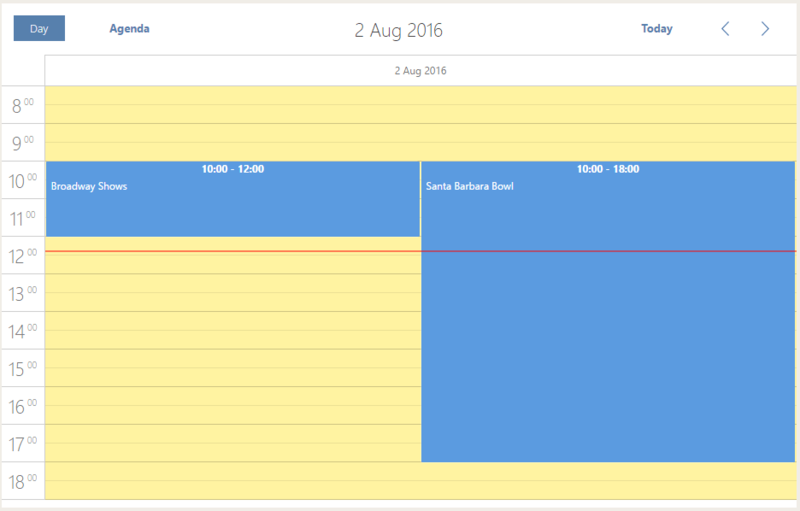 The latest .NET MVC Sample of Scheduler .NET is available on NuGet. 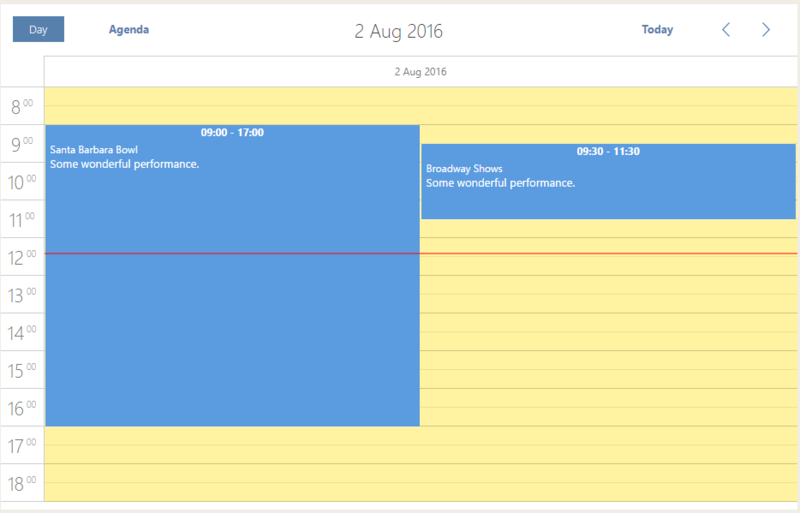 Instructions on how to set up a calendar app in .NET MVC can be found here. 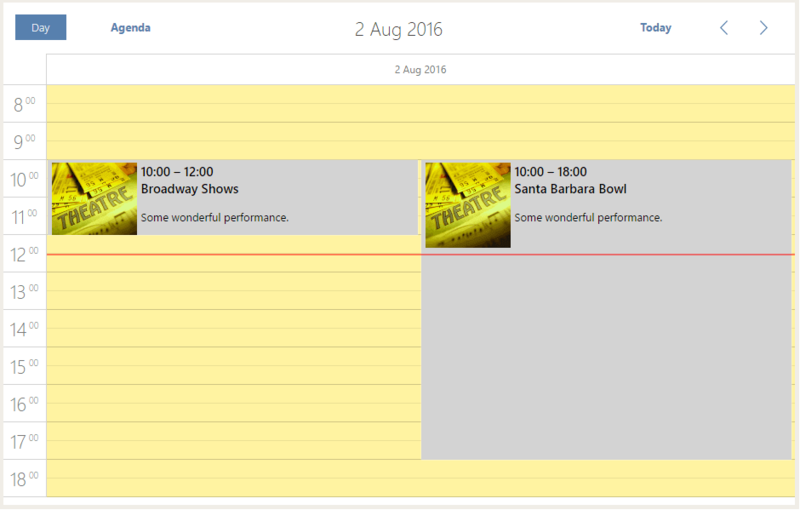 For this template we will create two views: a Day view and an Agenda view. 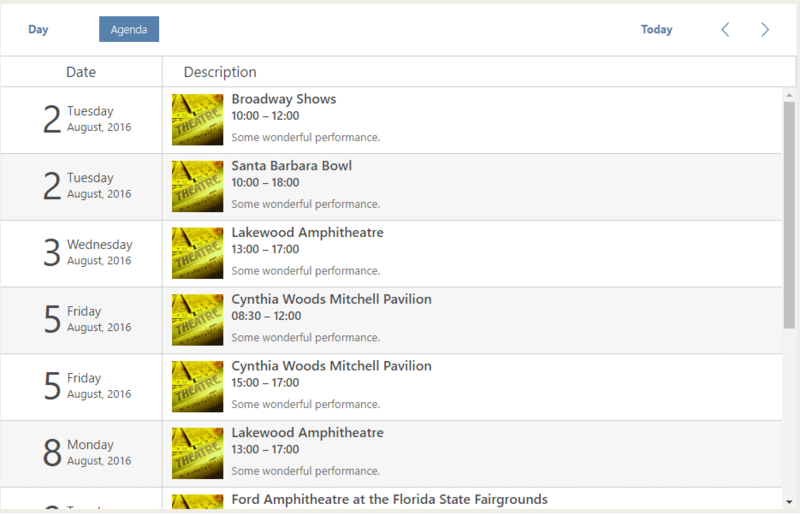 Day View will help you plan and display your events for a particular day. 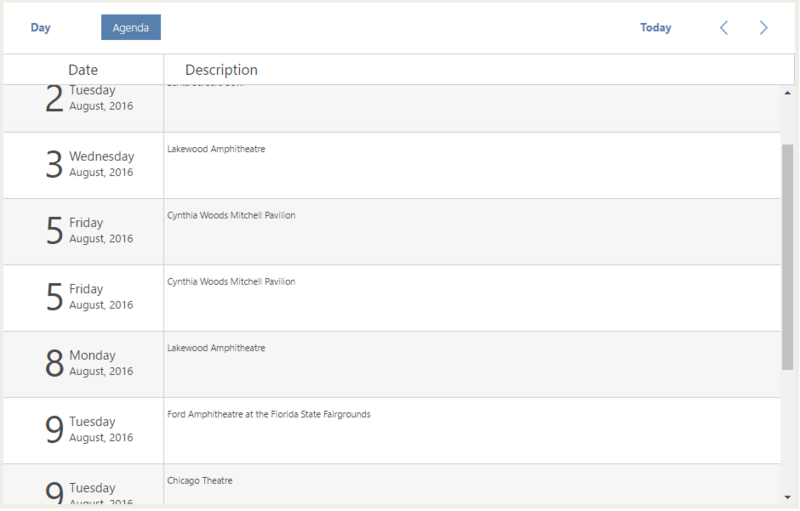 Agenda View will show the forthcoming events in the timeline. 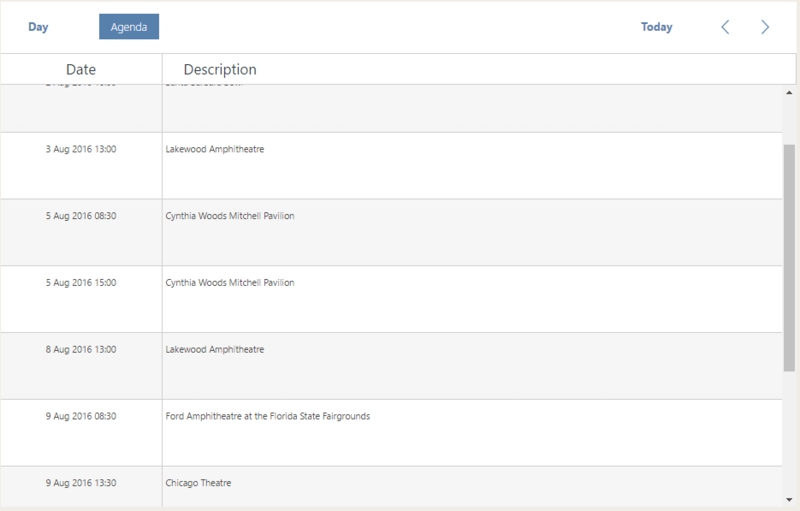 add a new description field (that's where you can enter additional information about the event). Done. Now it looks exactly as we've expected. Let's open the day view. remove the title row (highlighted in red on the screenshot) so the content would start from the top of the event box. Unfortunately, it can't be done via templates, and hiding that row via CSS will affect the displayed height of an event. 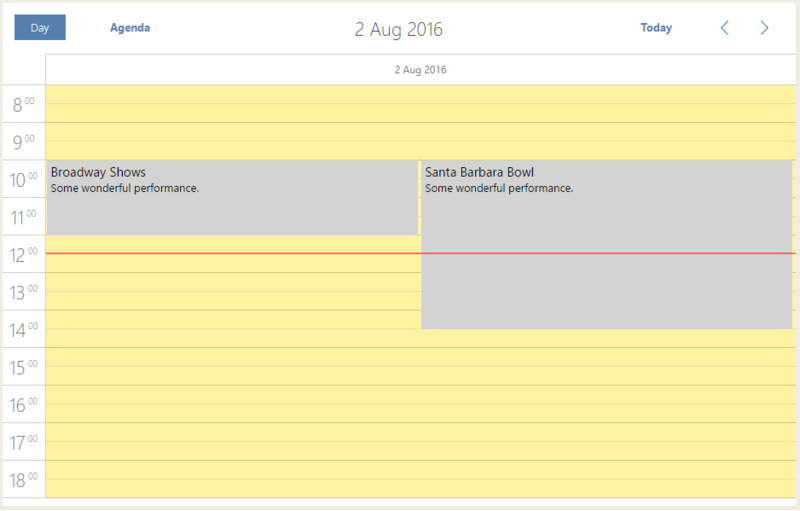 So, we'll have to create event HTML by hand, using the scheduler.renderEvent method. Wonderful. As far as we've created our own box, we have to fix the displayed data in it. 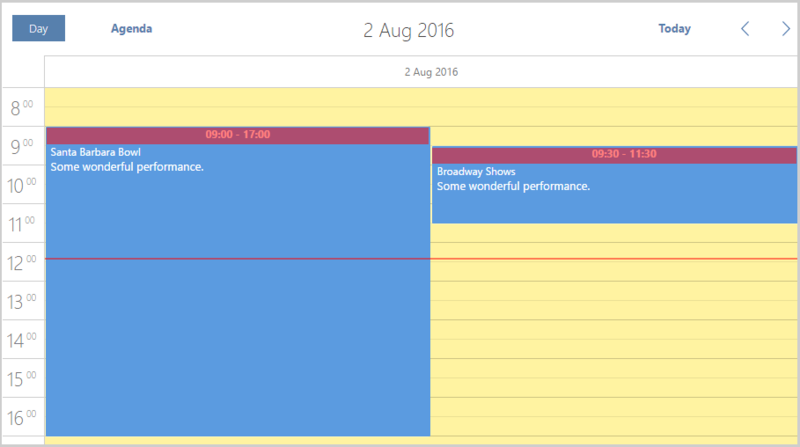 Our Agenda View is divided into two columns: the "Day" column and the "Description" column. Let's set up them one after another. The "Day" column will go first. Done! Now it looks perfect, right? 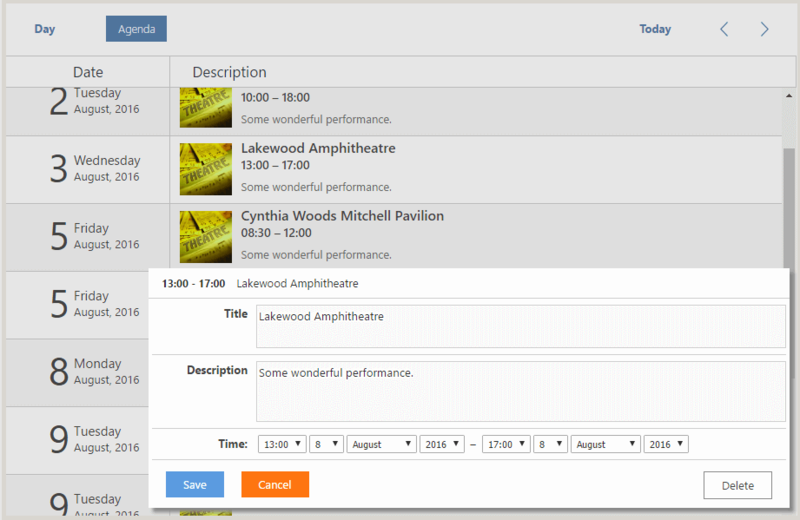 The result demonstrates that you can customize Scheduler .NET the way you wish.